The Zebra GX420 Series has reached end of life. It has been replaced by the Zebra ZD500. 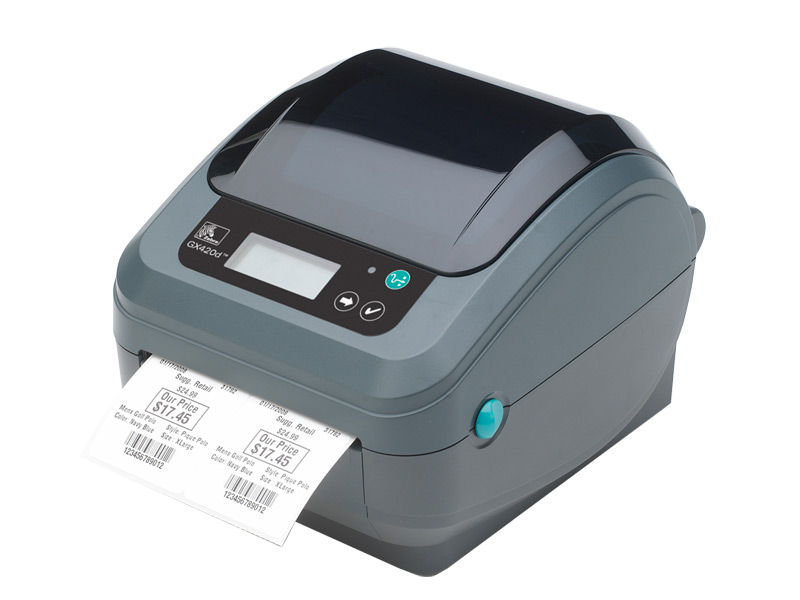 The Zebra GX420 series of barcode printers put fast, reliable label printing in a small form factor, excellent for low to medium volume printing operations. At 6" per second, the GX420 prints out 4" wide labels quickly and efficiently. Each unit comes standard with USB and RS-232 Serial ports, as well as your choice of parallel, ZebraNet Ethernet, Wi-Fi or Bluetooth interfaces, allowing it to be installed with ease at a variety of locations. Note: All units only come with the USB cable. Additional cables can be purchased in accessories. How do you calibrate a G-series Zebra Printer? How do I manually Calibrate my GK420 Zebra Printer? There are two manual calibration types that can be performed. Press and hold the Feed button while the printer is on. During this it will flash a number of times. Allowing it to flash twice and then releasing will perform a standard media calibration and set the media type and length. Similar to the standard auto calibration, you would hold down the feed button and then allow it to flash seven times before releasing. This will set the printer to run an extensive test that will detect and set the media type and length, as well as adjusting the media sensors for best performance. Aug '17: 3/5 Stars The GX420 matches the ZD420 for fastest Zebra Desktop Printer at 6 inches per second however it does not have all the added features of the ZD420 such as cartridge based printing. For that reason we recommend the newer ZD420 over the GX420, however the GX420 is a little more compact so if space is a concern the GX420 could be the better option. Find it faster! Click here to compare GX420 Series models by feature. 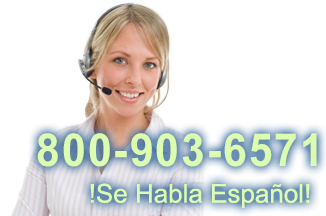 Browse all GX420 Series models now or call 800.903.6571 for assistance. Hi, Travis from POSGuys.com. Today we're going to go over how to calibrate your Zebra G-Series Desktop printers. So this applies to the GX420, GK420, GC420. There's several models that are in their desktop line that this applies to. Basically the ones that don't have an LCD screen and are the dark grey color. The lighter color white ones, the older ones, LP2824, LP2844, they have a slightly different process. So by default this is the one button on here that you use to calibrate, if it shoots out multiple labels, it skips labels, or it's aligned in the middle of the label, you'll need to run a calibration. To do that, you'll hold down this button. It's going to flash once, then it's going to flash a double flash, and then it's going to flash a triple flash and then a quadruple flash. What you're looking for is the double flash. So you hold this down, you get a single flash, then it's going to be a double flash. That's when you let go. After you let go, the printer is going to spit off one label, maybe two labels, and it's going to be calibrated after that. Whenever you hit the button you should get one label spit out of it. Right here I have black mark labels being used. If you're going to switch to a different label, like a shipping label with a gap instead of a black bar, you drop in your label and you hit the button. So that might happen, where it's not cleanly feeding out labels, you just go through the process one more time, hold down the button,it flashes once, then you'll get a double flash. After the double flash, you release and it's ready to go. You've switched from black mark labels to gap sensitive labels. So this applies to the calibration to the GX420, GC420 or GK420. For more information on those printers, or to purchase, please visit us at POSGuys.com. Thanks!